Things are not looking good for Disney's live-action adaptation of their 1992 animated classic, Aladdin, as it seems with each new look there is a fair amount of online backlash-most of which seems to be around Will Smith's incarnation of the Genie. 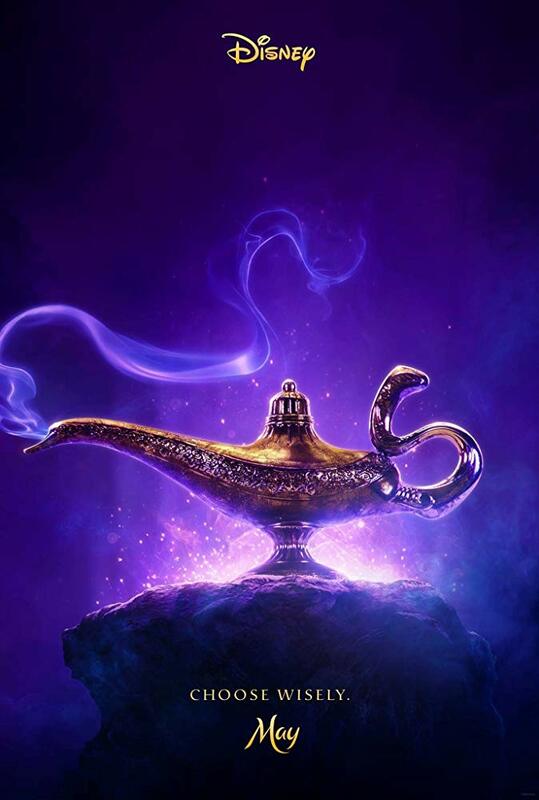 Of course, if you're familiar with that seminal nineties movie (and if you're not, you need to get familiar) Genie was always going to be the biggest hurdle considering Robin Williams' groundbreaking iteration of that being who could grant you three wishes. While Williams' performance will obviously loom large it would be completely unfair to dismiss Smith's take on the character based solely on a single (likely unfinished) CGI shot and a single line of dialogue. 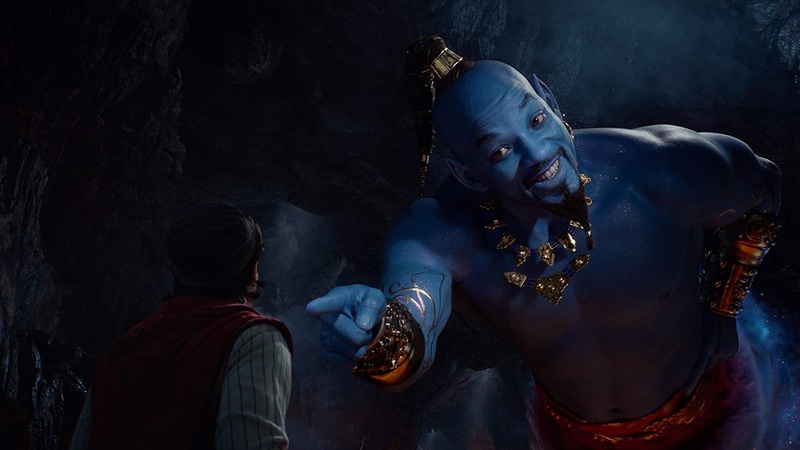 I mean, I understand the complaints, but it doesn't look THAT bad and I can only hope the animators continue to the balance of real-life Smith with his animated incarnation to the point the final product offers a more convincing aesthetic. 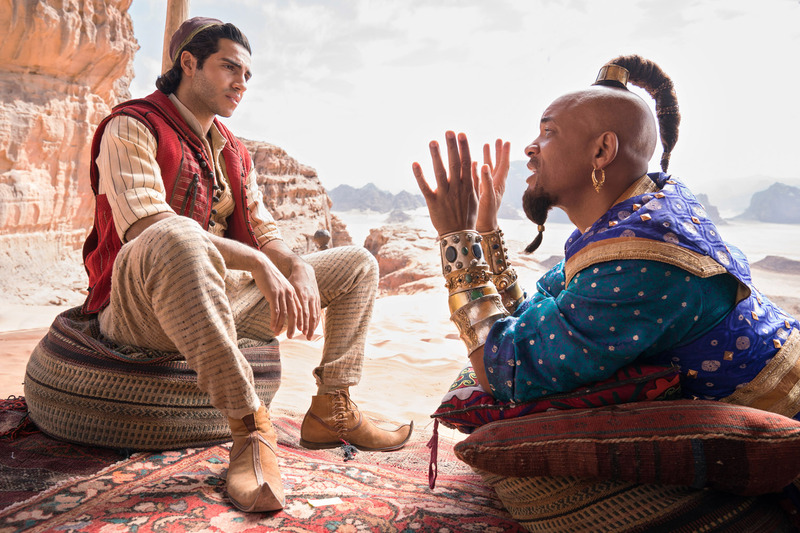 What's unfortunate is this spot revealing Smith as the more recognizable version of Genie was-in some capacity-probably a response to the negative backlash Smith and the film received for this Entertainment Weekly cover. More than anything, my hope is that Smith thought this whole scenario through before even agreeing to take the role in the first place. Alice in Wonderland, Cinderella, Dumbo, those are all one thing, but when you have a property that fuels nostalgia for the entire generation who is now the base of your expendable income demographic there has to be a plan in place. Smith had to know he was in something of a no-win situation given the reverence for Williams' interpretation and the fact he would have to come with something both radically different and pretty special to even be allowed in the same conversation. I hope this is the case. I am a massive Smith fan and have been for a long, long time, but I really hope he has an ace in his back pocket here otherwise it begs the question of why he would even take on this challenge in the first place. 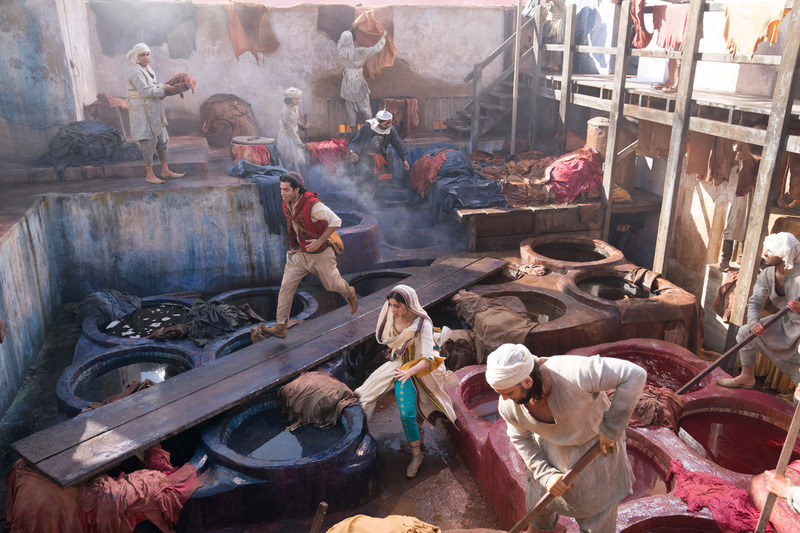 We do get a few glimpses of other, big moments from the animated film here as well, but despite director Guy Ritchie's filmography it all looks very staged and fake as opposed to the natural tangibility one would think is the point of these live-action re-makes. On the plus side though, the film will feature new songs by Alan Menken and La La Land songwriters Benj Pasek and Justin Paul (Menken wrote with Howard Ashman and Tim Rice for the 1992 version). 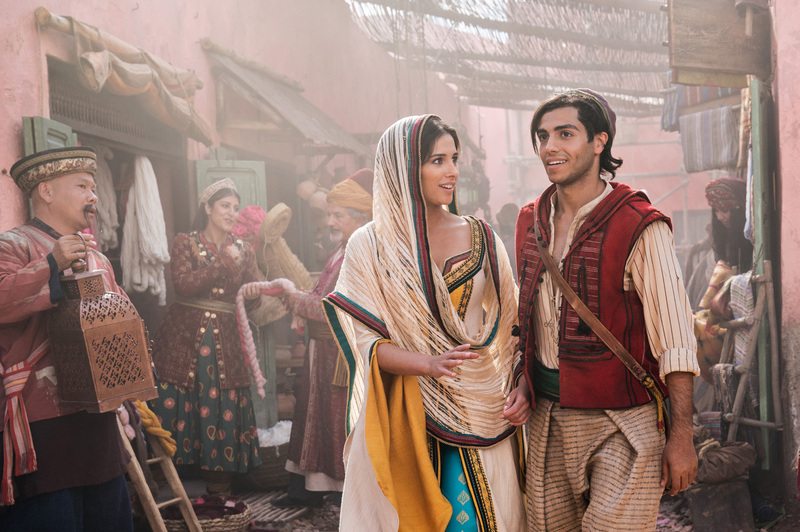 Aladdin will also star Marwan Kenzari, Navid Negahban, Nasim Pedrad, Billy Magnussen, Numan Acar, Mena Massoud, Naomi Scott, and opens on May 24th, 2019.